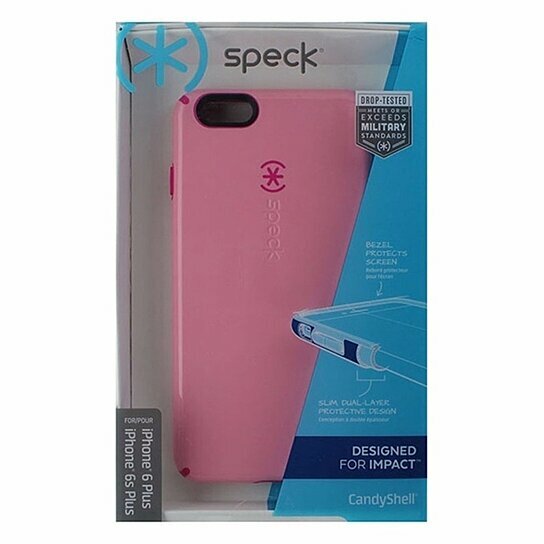 Speck branded CandyShell series Hybrid Shell Case for Apple iPhone 6 Plus (5.5" inch) and iPhone 6s Plus. Glossy Light Pink shell with a darker pink soft interior layer. Dual layer impact protection, lab-tested, military drop standards.